Letters are one of the only ways Marius can connect to the outside world. He loves to hear about people’s projects, what they’re reading, sensory information, animals, daily life, political thoughts. Even brief postcards, especially if they are sent regularly, help him feel connected. You can also send in printed out copies of articles, which helps him keep up to date on the world. Marius has a list of 100 pre-approved people he can write to; this means he will be able to receive your letter but until your name is added to his list he cannot write back. Marius can request people to be added/removed but this takes time and is not always granted. 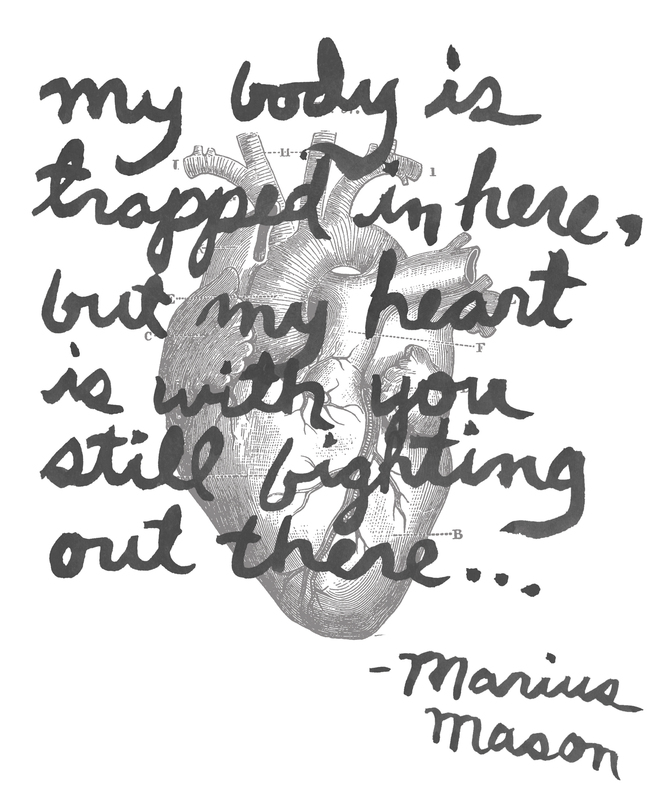 When writing to Marius, keep in mind that all his mail is read by prison staff. For this reason, do not mention any illegal acts or actions. Letters that mention other Green Scare prisoners may be rejected. Your letter and envelope must contain your first and last name when writing. If letters are not entirely in English, they may be delayed up to several months. Be sure to include your return address on the envelope and in the letter/card. You may also want to include his name and prisoner number on the letter/card in case it gets separated from the envelope during processing. Page numbers are also helpful in case of lost pages (example: page 1 of 5). Last, letters and envelopes with anything “affixed” to the letter or card – such as glitter, glue, or white-out are not permitted but do not let that stop you from sending a colorful letter! Pen, pencil, crayon and paint in the letter (not on the envelope) are accepted. Marius can also receive articles printed from the internet or photocopies but no newspaper clippings.